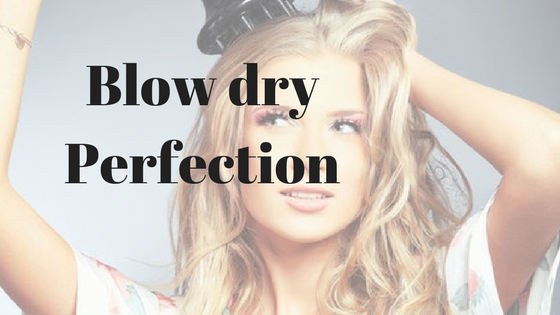 We all strive for blowdry perfection. As stylists we are always asked “Why can i never get my hair to look this way at home ?”, Of course we love it as means we are doing our job well but we understand its how your hair is when you get home that is the most important thing. The simple answer is a combination of things firstly that “it is our job” add the time and products and it can be done !! Time !! Perfection cannot be rushed, I wash my hair in the evening as mornings are no good for me, to many things going on. So set aside time, even if it is just once a week make it count. Good tools ! You dont need to spend a fortune on a hairdryer but a professional dryer will work faster and have all the nozzels and gadgets need to create lots of looks. Products ! Just like a good foundation the right products will form the base of a long lasting blowdry, we love Oways Volume tonic for bounce in short and longer styles and as the products are all lightweight you can mix up your perfect cocktail. Ready, Set, Go .. Always remove 75% of the excess damp before using products and before picking up a brush, this not only saves time but the rough drying of the hair helps to create lift in the roots. Use section clips and dry the fringe or front first this way its not gone flat or curly making it harder later. Take sections the size of the brush and use the dryer like an iron to smooth the hair and repeat until the hair is dry then use the cold shot on the dryer ( most have a cold button) to set the style. Allow the hair to cool slightly before applying serum or spray.